For one whole month, the artistic works of 32 of Egypt’s most famous contemporary artists will embark on a series of pop-shows at Egypt’s various heritage sites. Nothing Vanishes, Everything Transforms, curated by Nadine Abdel Ghaffar, is the second such event to be held by Art D’Égypte. The Egyptian Minister of Antiquities, H.E. Dr. Khaled El-Enany, will inaugurate the event at the Manial Palace Museum on October 28, 2018. For one enchanting evening, attendees will be able to witness a unique blending and creative response by Egyptian contemporary art practitioners to the exquisite setting of the Manial Palace. This open air museum holds a unique collection of Persian, Ottoman, neo-Mamluk and Rococo artefacts and architectural gems. Nothing Vanishes, Everything Transforms aims to show the world that in addition to Egypt’s rich cultural history, it continues to play a crucial role in contemporary artistic and cultural life today. The artworks on display draw upon various elements of the styles, movements, colours and themes of art and transform them into multi-faceted conversations that reflect and reinterpret the complexity of Egyptian culture for the 21st century’s global audience. Last year’s inaugural event Eternal Light took place at the Egyptian Museum in the heart of Tahrir Square. 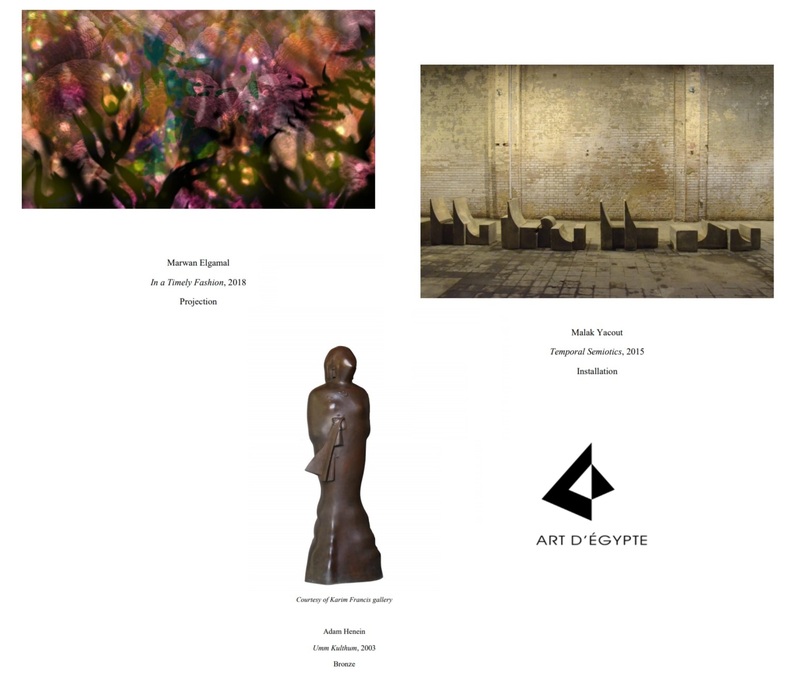 Art D’Égypte, a privately owned, multidisciplinary art consultancy, continues its innovative approach to creating a dialogue between contemporary art and Egyptian heritage.